No two makeup bags are alike. Every woman carries something different in her makeup bag. 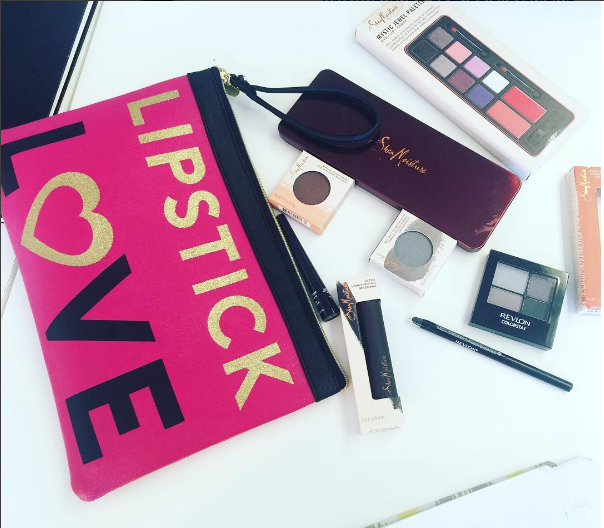 Many of us have different makeup bags for different occasions. In today’s video I’m sharing with you guys what I carry in my everyday makeup bag that I take with me between my studio and my home. I’ve been asked about this quite a lot but didn’t think there was much significance in my makeup bag. Then one of my girlfriends pointed out that the contents of my makeup bag changes quite frequently because of my work and that’s a bit abnormal for most people. So maybe I should do one of these videos every week? Probably not a good idea. Here is everything I mentioned in this video!